While most major airlines operate with a sort of detached, “soft” tyranny over their customers, one based in mandatory up-charges, tarmac delays, luggage losses, and other forms of psychological torture, United prides itself on more hands-on customer relations—especially important in a year that has seen its flights repeatedly grounded by computer glitches. Which is why during a recent flight from Chicago to Louisville, the United crew didn’t simply make a P.A. announcement that its mercenary practice of overbooking flights had left zero seats for four United employees who needed to make their connections. Nor did it insult them with a mere standard offer of travel vouchers and a hotel stay. United values the human touch, which is why it called security officers to forcibly drag a man from his seat while his fellow passengers looked on in horror. It’s a little thing, but it’s this kind of appreciation for the nuances of human interaction that has long made United your home in the “Friendly Skies,” as well as the hostile, seething ground. As reported in The Courier-Journal, crew members at the gate of United Flight 3411 reportedly offered passengers $400 and a hotel room if they agreed to take a flight at 3 p.m. the next day. After no one accepted, passengers were allowed to board, where the offer was then upped to $800. Everyone was then informed that the flight would not take off until four people agreed to give up their seats and leave. Still, no one volunteered. Where other, more coldly bureaucratic airlines might have left it at that, perhaps finding alternate routes to get its four employees to Louisville—maybe even putting them on a bus or renting them a car—United spied an opportunity for crowd participation. The crew turned the situation into a fun Hunger Games-like scenario, telling everyone that four people would then be randomly selected to be removed. Among these lucky tributes was a man who claimed to be a doctor, saying he had patients scheduled in the morning. He refused to give up his seat and threatened to call his lawyer as security officials surrounded him, demanding he leave. Again, some airlines might have left it there, to be sorted out through faceless legal back channels. But not United! Those security guards provided the kind of three-on-one attention that has become so unfortunately rare in this hustling, bustling world, personally yanking the screaming man from his seat, throwing him against an armrest, and busting his lip, before dragging his body from the plane. Another man uploaded video of the incident from a different angle, which allows you to see the man as United sees him—not just as blank, interchangeable cattle, but a real human face, blood oozing from the corner of its mouth because it didn’t want to give up the seat he’d paid for when the airline told him to. Finally, two hours after its scheduled departure time, Flight 3411 took off with everyone aboard now reassured that, to United, they weren’t just distant numbers or seat assignments. They were real, flesh-and-blood people, and they were extended the courtesy of the same capricious cruelties and random acts of violence they can experience anywhere else. That’s the United credo. 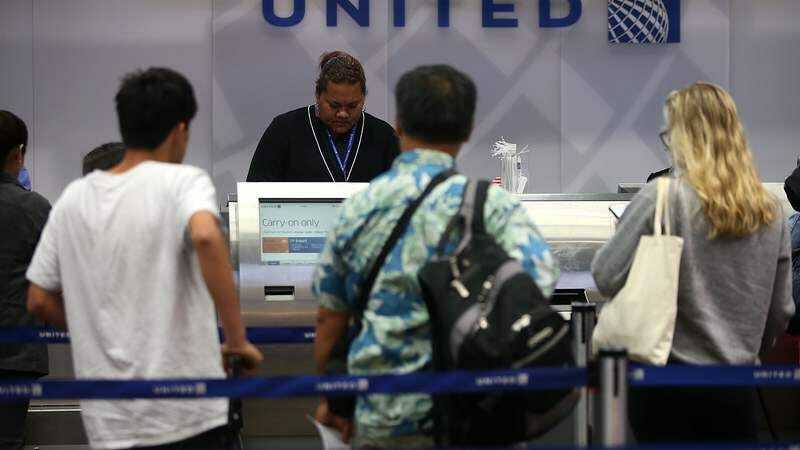 “Further details on the removed customer should be directed to authorities,” the United representative added helpfully, recognizing that others may care about his wellbeing as much as it does.